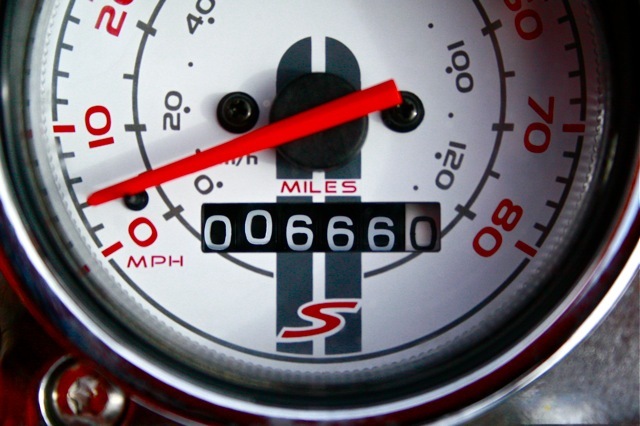 As one might imagine, I was thrilled to look down and see that my odometer was about to turn the devil-mile. In fact, I was so taken with excitement that I parked my Vespa and walked home to grab my camera to capture the satanic glory (truth be told, I was only about two blocks from home). Did that happen on the same day Ronnie James Dio died? I actually turned 666 the day after Mr. Dio left this world.